Andrew Brauteseth is sipping on a lemonade when I meet him. 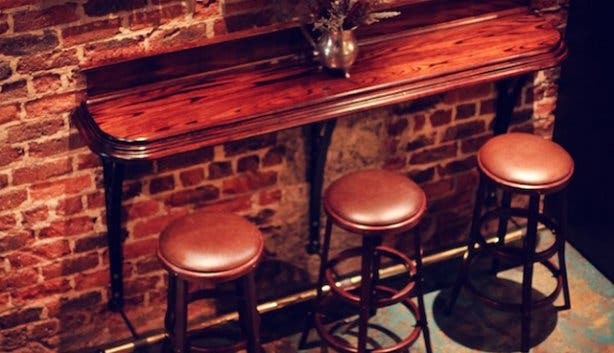 It’s an unusual beverage to be drinking at Brewer’s &Union— that hallowed hang-out for beer aficionados. “I’m trying to have at least one day of not drinking this year...” he explains. I first heard about Andrew when I stumbled on www.breestreet.co.za –his ongoing photographic blog that documents life on Bree Street. Real beer lover and road-tripper of note, Andrew is more than happy to share some of his favourite Bree Street haunts with me. Funny thing that. The beer salon is actually housed in what was once St. Stephen’s church. This popular spot has a devoted following. Not only can you imbibe on top-quality artisan beers, but the simple, pared down menu has a focus on quality. 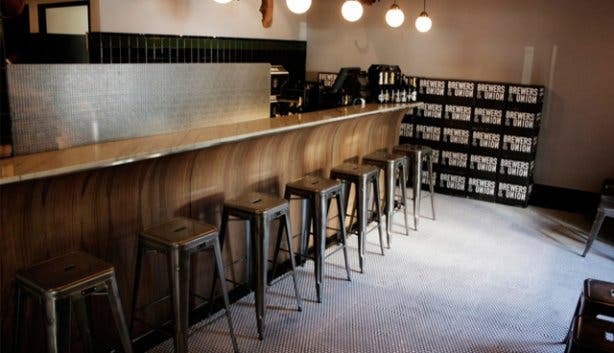 Expect charcuterie boards, pork Prego rolls and bang-up breakfasts. A real guys’ place, the general theme is after all pig and beer. Interestingly though, it’s also where some women discover they actually like beer, and it’s the Steph Weiss (named after the church) that usually tips them over the edge. Dating back to the 1780s, Heritage Square was once made up of snuff makers, gunsmiths and bakers. 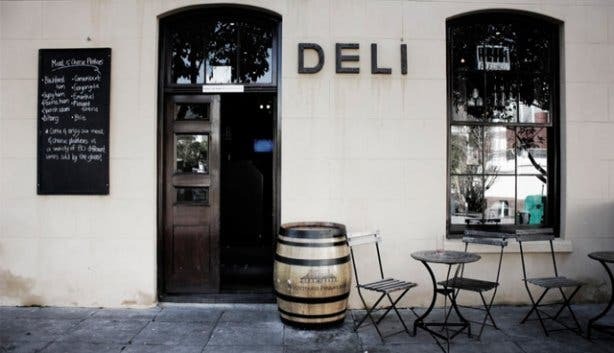 These days you’ll find contemporary restaurants such as Caveau and HQ as well as The Heritage Hotel. “There’s something about sitting at Jardine on a Tuesday morning with a flat white...” Andrew muses. “The Tuesdays that Boss Models are holding castings, that is.” The modelling agency is right across the road from this can-do-no-wrong bakery. As good as the view is, the pastries, sourdough sandwiches and the immortal bacon croissants are even better. Also nearby is Rotisserie 360°, here slow-roasted free range chickens feed the hungry lunch crowd, and it’s good value too. Restored stone walls, slick leather chairs and monochrome parquet flooring make this a real man’s man retreat. Add to that old-school cut-throat razors and hot towel treatments and you have a barber shop fit for a king. “And you can drink bourbon and swear,” adds Andrew. “My one piece of advice,” says Andrew, “is don’t listen to their recommendations. Do your research beforehand. They have a huge collection. In fact, if they say your choice is good, you’d better go look for another one,” he says trailing off in laughter. Still he has a point, before DVD Noveau set up shop, Capetonians were hard-pressed for quality viewing, the collection is staggering, the interior, modern and bright and the service, well, some would say too helpful [wink]. 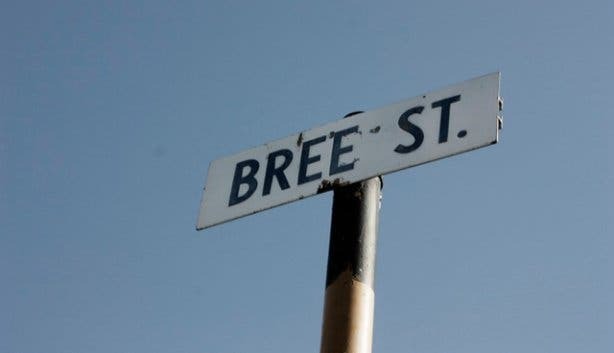 Later, leaving &Union, I decide to walk the length of Bree Street back to www.capetownmgazine HQ. Along the way I spot, like hidden treasure suddenly revealed, images and symbols from Andrew’s photography. The saint from St Paul’s Chapel, the sign for the boxing gym, and all the beautiful architecture—from window casements to street corners, all given new life through the lens of a camera. For more by Andrew go to his award-winning blog: Guy With Camera. And check out our Facebook album for more of his Bree Street photographs. 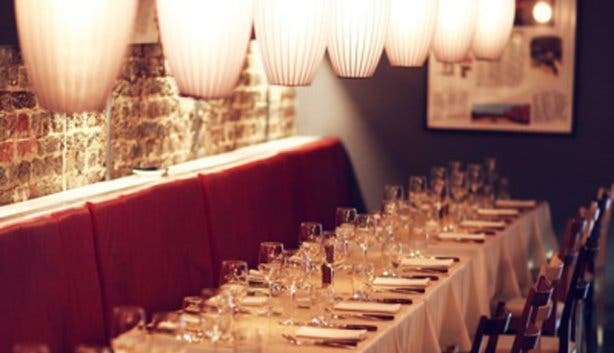 Go for a true fine dining experience in Bree Street at Grub & Vine. 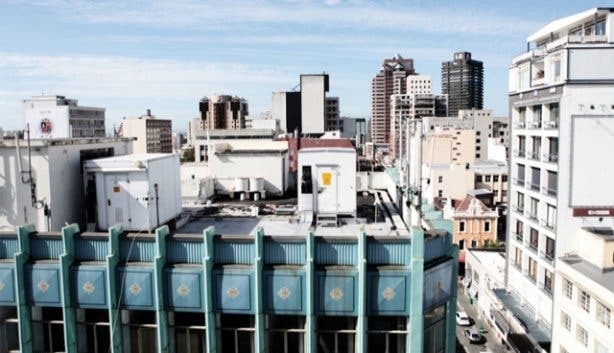 Another street in Cape Town worth checking out, is Long Street's loopy sister, Loop Street.